"[...]grounded, realistic cultural projects can offer a space or a platform for refugees to have a better understanding of their new context and to deal better with their traumatic experiences through self-expression." At the INTERVENTIONEN 2016 Imad Gabrayel presented his arts education project "My Stories, My Terms" during the guided Neighborhood Tours. We had the possibility to ask him some more questions about his work and views on the topic refugees in arts and education. My name is Imad Gebrayel, a Lebanese Graphic Designer and Illustrator. A year ago I moved to the Netherlands to pursue a Master Degree in Graphic Design after several years of experience in the field, working as a creative director between Beirut and Abu Dhabi and assisting design courses at The American University of Science and Technology in Beirut. My work revolves around socio-political research and dives into critical discourses in design and design education. Earlier this year I had the opportunity to work on a self-initiated project in Berlin where I researched the dynamics of the refugee discourse and mediation. This project was made possible by Dérive Berlin, a scholarship awarded by Avans Centre for Art and Design in cooperation with Belius Foundation Berlin. During the guided neighborhood tours of the INTERVENTIONEN 2016 you presented your project “My Stories, My Terms”. How did “My Stories, My Terms” come to be? What was your motivation? I came to Berlin with intentions to research the integration process of displaced minorities in the middle of the so called ‘refugee crisis’. But after 2 months of research, I realized that these communities are made subject to media exploitation and have no control over their personal stories. Motivated by my cultural background and social engagement, I decided to use my experience in communication to prototype and test a set of tools allowing the refugees to have the ability to properly express their stories away from media’s romanticism or objectification. I wanted them to set their own terms and document their own experiences without external influences. How did you organize the workshop? What were the aims? I organized the workshop after several meetings with refugee groups and interviews with local activists and journalists. I designed and promoted the event with the support of the Belius Foundation funded, which funded the project and offered the venue of the project. The aims were mainly to gather a group of refugees interested in writing and expressing their thoughts freely, sharing my process with them and ending with a consolidated outcome and an interesting exchange of tools, stories and experiences. Each participant took part in several exercises, feedback loops, and free-writing techniques and was able to reach a visual and textual outcome. Was this your first experience in the cultural/arts education field? What new insights in this kind of work did the project give you? I have previously assisted design courses at one of the universities in Beirut, organized workshops and took part in several events but in contrast to that work there’s a newness and harshness in “My Stories, My Terms” which is mainly related to the topic ‘displacement and loss’ without necessarily exoticizing such starting points. Lebanon hosts a large number of refugees, but I never had the opportunity to interact with them on a close proximity. Berlin exposed me to a wide range of nationalities and possibilities that helped me produce a fruitful project, but pushed me to re-consider and critique a lot of design projects currently benefiting from displaced communities for the sake of self-promotion. Working in the cultural sector is indeed a tricky process when funding is highly dependent on humanitarian topics. The workshop was called: “My Stories, My Terms”. What were the terms of the people you worked with? How did you negotiate the terms? The terms were a part of my process. I gave them total freedom over their main topic and insisted on the fact that the outcome is not as important as the process. We agreed that the stories should not necessarily talk about death or migration journeys or loss. The outcomes were a great deal of varied topics ranging from love, loss, identity and racism without any channeling or agenda from my part. The participants however had set more terms related to exposing their real identities or altering some details in their stories to avoid problematic consequences: e.g. places and names mainly. At the moment there are a lot of cultural projects dealing with topics like flight and asylum. How helpful do you think such projects are for refugees on a personal and political level? I have to be realistic concerning these projects. I don’t believe that cultural projects can do much in a catastrophic reality – nothing can beautify death or separation or extremely unfortunate financial conditions. However, grounded, realistic cultural projects can offer a space or a platform for refugees to have a better understanding of their new context and to deal better with their traumatic experiences through self-expression. I’m talking about projects related to self-development with a clear understanding of their limitations. In my opinion, successful social/cultural projects are the ones in which the initiators know the limits within which they can perform without having the urge to idealize what they do or make it seem like they are saving the world with a cultural project. I believe in grounded realistic scope. The first edition of “My Stories, My Terms” took place in Berlin. Are you planning other workshops elsewhere? The workshop was designed as a format that can be reproduced in different locations and with different audiences. I’m planning to redo the workshop in Beirut with intentions to document grandmothers’ war stories from our perspective as grandchildren. The project is still in the planning phase, but I believe in open-source, so it is worth mentioning that ‘my stories, my terms’ can be executed without my physical presence. How was the experience presenting your project during the tours of the INTERVENTIONEN 2016? Were there any interesting questions or feedback? It was an interesting experience having to interact with a group of people coming from different nationalities and age groups. I felt that the audience was engaged enough to listen to the whole presentation considering the amount of process it has. I received questions related to the process, documentation and the relation between the workshop and my academic background, which I consider a great amount of feedback. There’s a definite benefit coming from any exchange of thoughts and ideas. I’m planning to finish my Masters in the coming year and hopefully find more opportunities in the realm of design research with socio-political affiliations, urban development or journalistic processes. I believe that Berlin is a fertile ground for my interests and is a place where opportunities and people are interacting beautifully – I hope I myself will find a space for my thoughts and abilities without geographic or racial constraints. Thank you! Während der INTERVENTIONEN 2016 im Rahmen der geführten Kieztouren präsentierte Imad Gabrayel sein Projekt "My Stories, My Terms". Wir hatten die Möglichkeit ihm weitere Fragen zu seiner Arbeit und seinen Ansichten zum Thema "Refugees in Arts and Education" zu stellen. Bitte erzähl uns kurz etwas über dich selbst. Mein Name ist Imad Gebrayel, ich bin ein libanesischer Grafikdesigner und Illustrator. Vor einem Jahr zog ich in die Niederlanden, um einen Master-Abschluss in Grafik-Design zu machen – nach mehrjähriger Erfahrung auf dem Gebiet, der Arbeit als Creative Director zwischen Beirut und Abu Dhabi und der Assistenz bei Design-Kurse an der American University of Science and Technology in Beirut. Meine Arbeit dreht sich um sozialpolitische Forschung und taucht in kritische Diskurse in Design und Design-Ausbildung ein. Zu Beginn dieses Jahres hatte ich die Möglichkeit, bei einem selbstinitiierten Projekt in Berlin zu arbeiten, wo ich die Dynamik des Geflüchteten-Diskurses und Vermittlung erforscht habe. Dieses Projekt wurde durch Dérive Berlin, ein Stipendium von Avans Zentrum für Kunst und Design in Zusammenarbeit mit der Belius Stiftung Berlin ermöglicht. Während der geführten Kieztouren bei dem Festival INTERVENTIONEN 2016 hat du dein Projekt "My Stories, My Terms" vorgestellt. Wie ist"My Stories, My Terms" entstanden? Was war deine Motivation? Ich kam nach Berlin mit der Absicht den Integrationsprozess von vertriebenen Minderheiten mitten in der so genannten "Flüchtlingskrise" zu erforschen. Aber nach einer zweimonatigen Forschung wurde mir klar, dass diese Communities der Ausbeutung durch die Medien unterworfen sind und keine Kontrolle über ihre persönlichen Geschichten haben. Motiviert durch meinen kulturellen Hintergrund und soziales Engagement beschloss ich, meine Erfahrung in der Kommunikation zu verwenden, um eine Reihe von Werkzeugen zu entwickeln und zu testen, um somit Geflüchteten die Fähigkeit zu geben, ihre Geschichten jenseits der Romantisierung und Objektivierung der Medien zu formulieren und sich auszudrücken. Ich wollte, dass sie ihre eigenen Bedingungen stellen und ihre eigenen Erfahrungen ohne äußere Einflüsse dokumentieren. Wie haben Sie den Workshop organisieren? Was waren die Ziele? Ich organisierte den Workshop nach mehreren Treffen mit Gruppen von Geflüchteten und Interviews mit lokalen Aktivist*innen und Journalist*innen. 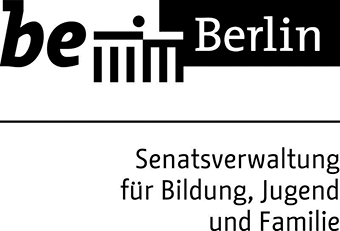 Ich habe das Projekt entwickelt und mit der Unterstützung der Belius Stiftung beworben, die das Projekt gefördert und einen Veranstaltungsraum zur Verfügung gestellt haben. Die Ziele waren in erster Linie eine Gruppe von Geflüchteten zusammen zu bringen, die interessiert am Schreiben waren und ihre Gedanken frei ausdrücken wollten, meinen Prozess mit ihnen zu teilen, mit einem konsolidierten Ergebnis abzuschließen und eineninteressanten Austausch von Werkzeugen, Geschichten und Erfahrungen zu ermöglichen. Jede*r Teilnehmer*in nahm an mehreren Übungen, Feedback-Schleifen und Freischreibtechniken teil und konnte ein visuelles und textliches Ergebnis erreichen. War dies Ihre erste Erfahrung im Feld kultureller Bildung? Welche neuen Erkenntnisse in dieser Art von Arbeit hat das Projekt gegeben? Ich habe bisher an einer der Universitäten in Beirut bei Designkursen als Assistent gearbeitet, Workshops organisiert und habe an mehreren Veranstaltungen mitgewirkt. Aber im Gegensatz zu dieser Arbeit gibt es eine Neuartigkeit und Härte bei "My Stories, my Terms", die in erster Linie auf das Thema "Vertreibung und Verlust" zurückzufrühren ist, ohne notwendigerweise solche Ansatzpunkte zu exotisieren. Libanon beherbergt eine große Zahl von Geflüchteten, aber ich hatte nie die Gelegenheit, mit ihnen in engen Kontakt zu interagieren. Berlin hat mich einer Vielzahl von Nationalitäten und Möglichkeiten ausgesetzt, was mir geholfen hat ein fruchtbares Projekt zu entwickeln. Es brachte mich aber auch dazu eine Menge Design-Projekte, die von Geflüchteten Communities profitieren, um Eigenwerbung zu betreiben, zu überdenken und zu kritisieren. Arbeiten im Kultursektor ist in der Tat ein schwieriger Prozess, wenn die Finanzierung stark abhängig von humanitären Themen ist. Der Workshop, den du bei den INTERVENTIONEN 2016 vorgestellt hast, heißt übersetzt: "Meine Geschichten, meine Bedingungen". Was waren die Bedingungen der Menschen, mit denen du gearbeitet hast? Wie habt ihr die Bedingungen ausgehandelt? Die Bedingungen waren ein Teil meines Prozesses. Ich gab ihnen die totale Freiheit über ihr Hauptthema und bestand darauf, dass das Ergebnis nicht so wichtig ist wie der Prozess. Wir waren uns einig, dass die Geschichten nicht unbedingt über den Tod oder Migration, Reisen oder Verlust sprechen sollten. Im Ergebnis waren sehr viele abwechslungsreiche Themen, die Liebe, Verlust, Identität und Rassismus umfassten, ohne Kanalisierung oder Agenda von meiner Seite. Die Teilnehmer*innen hatten jedoch weitere Bedingungen im Bezug auf die Preisgabe ihrer Identitäten oder die Veränderung einiger Details in ihren Geschichten, um problematischen Folgen zu vermeiden: z.B. Orte und Namen in erster Linie. Im Moment gibt es viele kulturelle Projekte, die mit Themen wie Flucht und Asyl zu tun haben. Wie hilfreich denkst du sind solche Projekte für Geflüchtete auf persönlicher und politischer Ebene? Ich muss realistisch in Bezug auf diese Projekte sein. Ich glaube nicht, dass kulturelle Projekte viel in einer katastrophalen Wirklichkeit tun können - nichts kann den Tod, Trennung oder extrem unglückliche finanzielle Bedingungen verschönern. Geerdete, realistische kulturelle Projekte bieten allerdings einen Raum oder eine Plattform, in dem Geflüchtete ein besseres Verständnis für ihren neuen Kontext bekommen und durch das sich selbst ausdrücken, um besser mit ihren traumatischen Erfahrungen umgehen zu können. Ich spreche über Projekte im Zusammenhang mit Selbstentwicklung, mit einem klaren Verständnis ihrer Einschränkungen. Meiner Meinung nach sind erfolgreiche soziale/kulturelle Projekte die, in denen die Initiator*innen diese Begrenztheit kennen, ohne den Drang zu haben das zu idealisieren, was sie tun, oder ohne den Anschein zu machen sie würden mit einem kulturellen Projekt die Welt retten. Die erste Ausgabe von "My Stories, My Terms" fand in Berlin statt. Planst du weitere Workshops an anderer Stelle? Der Workshop wurde als ein Format entwickelt, das in verschiedenen Orten und mit verschiedenen Zielgruppen reproduziert werden kann. Ich plane den Workshop in Beirut zu wiederholen - mit der Absicht die Kriegsgeschichten der Großmütter aus unserer Sicht als Enkelkinder zu dokumentieren. Das Projekt befindet sich noch in der Planungsphase, aber ich glaube an Open-Source, so ist es erwähnenswert, dass „My Stories, My Terms“ auch ohne meine physische Präsenz durchgeführt werden kann. Wie war die Erfahrung, dein Projekt während der Touren der INTERVENTIONEN 2016 vorzustellen? Gab es interessante Fragen oder Feedback? Es war eine interessante Erfahrung, mit einer Gruppe von Menschen aus verschiedenen Nationalitäten und Altersgruppen kommend zu interagieren. Ich hatte das Gefühl, dass das Publikum interessiert genug war sich die gesamte Präsentation anzuhören trotz der Menge an Prozessen, die das Projekt hatte. Ich bekam Fragen zum Ablauf, der Dokumentation und der Verknüpfung zwischen dem Workshop und meinem akademischen Hintergrund, was ich für ein positives Feedback halte. Es gibt in der Regel einen Mehrwert, der aus jedem Austausch von Gedanken und Ideen entsteht. Ich plane meinen Master im kommenden Jahr zu beenden und hoffentlich mehr Möglichkeiten im Bereich der Designforschung mit sozialpolitischer Ausrichtung, Stadtentwicklung oder journalistischen Prozessen zu finden. Ich glaube, dass Berlin ein fruchtbarer Boden für meine Interessen ist und ein Ort, wo Chancen und Menschen gut interagieren – ich hoffe, einen Platz für meine Gedanken und Fähigkeiten zu finden, ohne geografische oder rassistische Einschränkungen. Vielen Dank! Dir auch vielen Dank für das Interview! Photo by Valentino Barbieri: Imad (standing) and the participants of "My Stories, My Terms"